Circle Square — T&J Design Ltd.
Circle Square is a commercial shopping mall located in Macau that Hong Kong Henry Group and Circle Property acquired and renamed it in 2011. 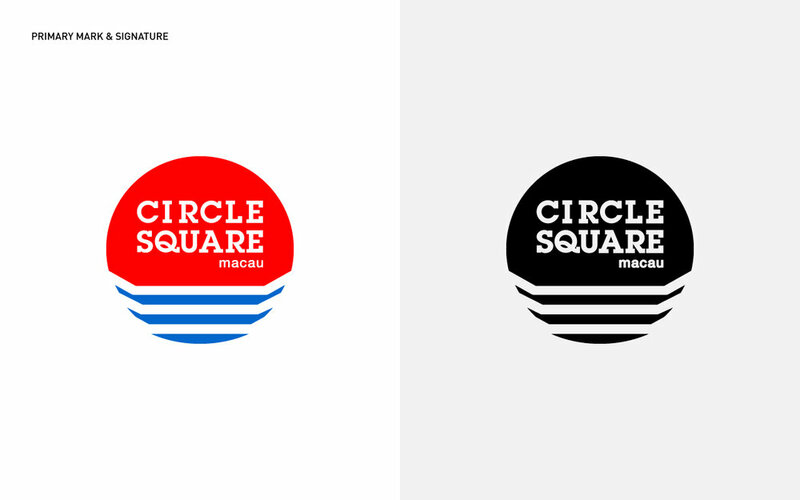 We're asked to design a new identity for Circle Square for all positions of signage on the building. According to the shape of building for main visual reference, we combined square and circle into a single form. The bottom of the circle is designed with an angle which is similar to the original shape of the building. The primary font "Square Serif" which is a classic and unique typeface, and the secondary font "Helvetica Neue" is used as subtitle font. The combination of typefaces can show the contrast of trend that can represent classic and modern style.